at Its Spring Clean and Green on Saturday, April 18, 10:00 a.m. 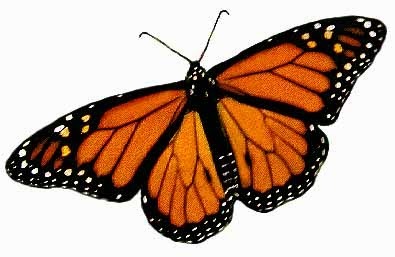 The Monarch Butterfly is in decline and Buena Park Neighbors' Spring Clean and Green will help provide an inviting habitat for our beautiful flying friends by planting Milkweed and other species of plants that attract and provide food during the Monarch Butterfly's spring and fall migrations. Buena Park Neighbors will hold its Spring Clean and Green on Sat., April 18 at 10:00 a.m. at Dollop Coffee and Tea at 4181 N. Clarendon Ave. which is on the northeast corner of Clarendon Avenue and Gordon Terrace. At this annual event Buena Park residents will volunteer to plant Monarch Butterfly-friendly plant species and help clean up their neighborhood. The group will meet at Dollop at 10:00 a.m. and spread out from there. The Buena Park Neighbors Association supplies the trash bags and tools. Residents should bring a pair of gloves. At noon everyone will meet at Michael’s Pizzeria for a community lunch. This is a great way to meet neighbors and work together to make Buena Park shine.